Girls and Woman Top Shot Chest Protector & Sport Bra SET E13009. Sotball HGS: Stands for Heart Guard Shirt used in Fast pitch and Softball. $Only 25.19 EA / Price Includes US Shipping. (KEEP HEART GUARD BETWEEN BREAST FOR THE CORRECT POSITION WEAR). Super great idea for Soccer or Softball players & all Pitchers and Infielders! 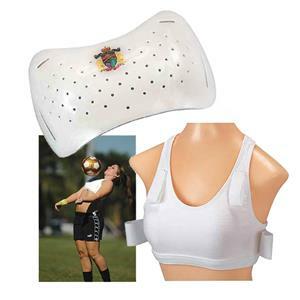 Just order you're bra size and we match the protector!